Secure Key Safe Accessed Via Combination Number. It’s the perfect solution for unscheduled and scheduled access, for example: home care workers, emergency access to elderly households, visitors etc. No more hiding keys under the doormat or plant pots!. 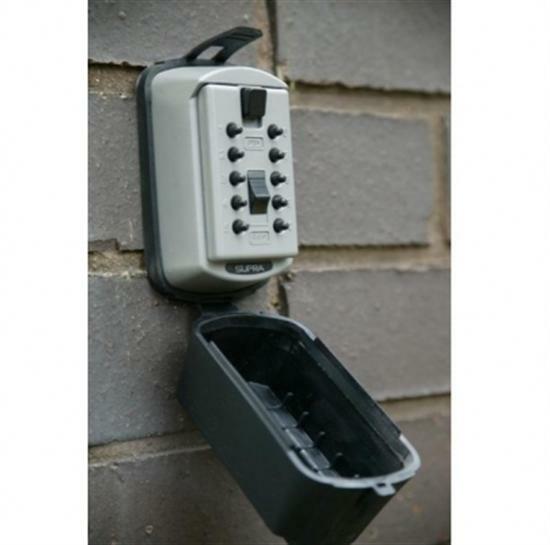 The combination required to open the Key Safe can be easily changed, and a black neoprene cover simply slips around and over the KeySafe™ hiding it from view and protecting it from the elements. Excellent strong product, quick delivery.